Scaled down version of the Standard Yard with a holding capacity of about 100 sheep. 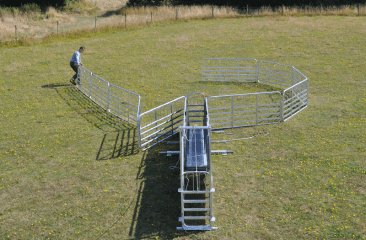 Extra gates and components can be added as sheep numbers grow. All of the gates and components are carried on the Yard base trailer which also forms part of the sheep race.